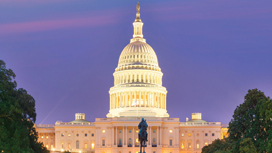 Each week, we highlight the latest tax reform developments. Click below to visit our webcast page for a complete list of tax reform webcasts, and to watch replays of past events. Read more about the proposed regulations and what they may mean for you. Executives' responses in a recent survey demonstrate uncertainty as to whether the new 263A regulations would be advantageous to their companies. EY National Tax Department leader Michael Mundaca discusses how companies are responding to the TCJA. EY surveyed tax professionals to learn how US tax reform is affecting companies. Explore our industry-focused tax reform content. Learn more about our legislative services and contact a WCEY professional.